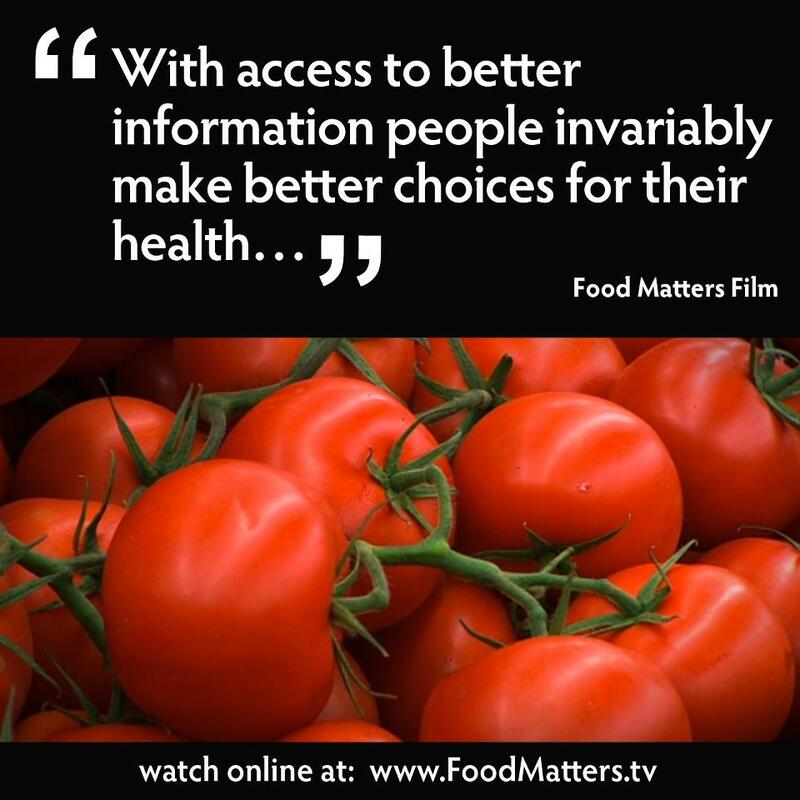 Watch 'Food Matters' Online For Free! 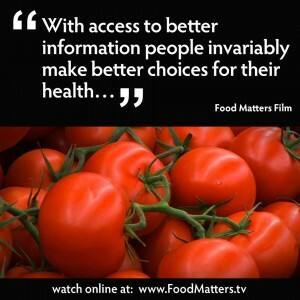 Watch ‘Food Matters’ Online For Free! Food Matters is a hard hitting, fast paced look at our current state of health. Despite the billions of dollars of funding and research into new so-called cures we continue to suffer from a raft of chronic ills and every day maladies. Patching up an over-toxic and over-indulgent population with a host of toxic therapies and nutrient sparse foods is definitely not helping the situation. Food Matters seeks to uncover the business of disease and at the same time explore the safe, cheap and effective use of nutrition and supplementation for preventing and often reversing the underlying causative aspects of the illness. With the premise of the film being: access to solid information helps people invariably make better choices for their health. The Food Matters film was independently funded from start to finish in order to remain as unbiased as possible, delivering a clear and concise message to the world – Food Matters. The Olympics may be over, but my Year Without Beer isn’t! I am spending all 366 days of this leap year alcohol free in an attempt to raise money for 2 charities that are both very close to my heart. If giving up all alcohol for a year isn’t enough of a challenge to make you dig deep and show your support, I’ve also completed a challenge to run 500 miles! As part of my running challenge I have completed a quarter marathon, a 10 mile road race (Great South Run) and am signed up to do an 8 mile off road challenge (The Grim Original).